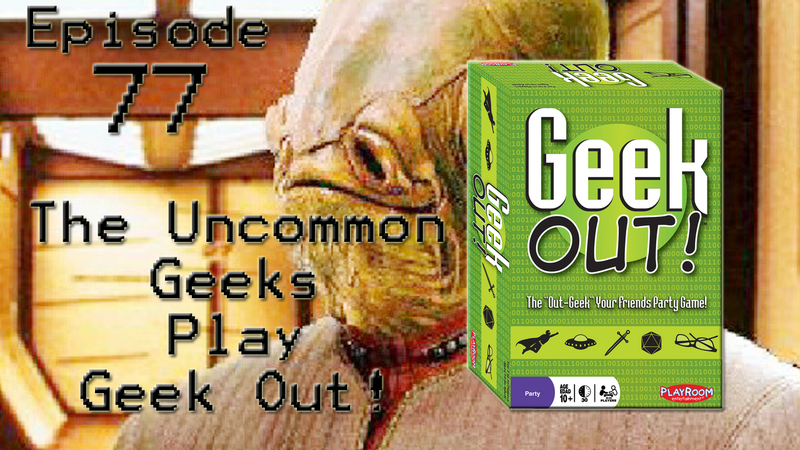 The Pandora Society » The Uncommon Geek podcast Episode 77: The Uncommon Geeks Play Geek Out! It’s kind of like a trivia game that promotes showing off how much you know about geek culture and other things related to the nerd-o-sphere! We explain the rules, how to play, and we play a full game! We’re not going to tell you who won… you’ll just have to listen and see! It’s for 2 to infinity players! The Uncommon Geek podcast Episode 72: Interview with Basement Fodder Podcast – Part One!